…not being admitted into university because you are a woman. …not being paid as a professor because you are a woman. …being fired from your job because of your race or religion. …despite all this, becoming one of the greatest mathematicians. That brings us to the work and life of Emmy Noether. Who was Amalie Emmy Noether? Emmy Noether was born in 1882 in Erlangen, Germany. Her father was the mathematician Max Noether, a professor at the University of Erlangen. In 1900, given the policies of the university at the time, Noether was allowed only to audit mathematics classes at the University of Erlangen as she was a woman. She later passed a qualifying exam in 1903, and with changes to university policies, she pursued her doctorate. Her dissertation was “On Complete Systems of Invariants for Ternary Biquadratic Forms” in 1907, and she was the second woman to ever receive a doctorate from the University of Erlangen. 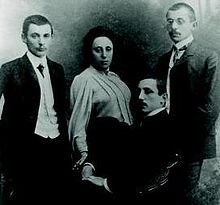 Emmy Noether with her three younger brothers, Alfred, Fritz, and Robert, before 1918. In 1915, she was invited to the University of Göttingen by leading mathematicians David Hilbert and Felix Klein to study Einstein’s theory of general relativity. One of her early discoveries was a fundamental law in physics, which is now called Noether’s Theorem. In that theorem, she proved that symmetries in physical systems correspond exactly to conservation laws. For example, rotational symmetry corresponds to conservation of angular momentum. Noether’s theorem has become a cornerstone of the field of symplectic geometry, which has found application to modern topics such as the Higgs boson and topological insulators. Noether became “an untenured professor with limited internal administrative rights and functions” in 1918. What that effectively meant was that she was given no salary until 1922! Despite that, she produced a dozen doctoral students and later went on to receive the Ackermann–Teubner Memorial Award, joint with Emil Artin, at the International Congress of Mathematicians in 1932. Her greatest mathematical contribution was to the development of the field of abstract algebra. In this field, now taught to every mathematics undergraduate, the motivation is to extend laws of arithmetic in number systems. Algebraic structures such as groups, rings, and fields are part of the mathematical canon, and algebra is now a central area of modern mathematical research. Noether introduced certain chain conditions in algebra, which now bear her name. More exactly, she considered rings where ascending chains of ideals stabilize. This property is true for all our familiar number systems such as the integers and reals and plays a foundational role in commutative and non-commutative algebra. Google immortalized Emmy Noether with one of their doodles. With the support of Einstein and Weyl, Noether was given a professorship at Bryn Mawr, a women’s liberal arts college in Pennsylvania. There she taught classes and had the famed Olga Taussky Todd as a student. In 1934, she lectured at the Advanced Study in Princeton. 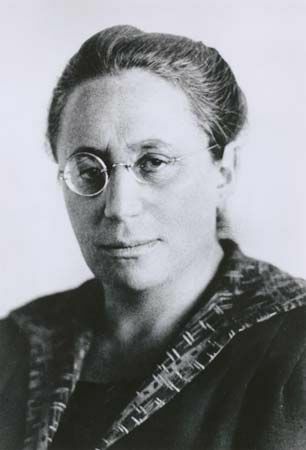 Emmy Noether died in 1935 at the young age of 53 from uterine cancer. We can only imagine what she would have accomplished if she lived longer. 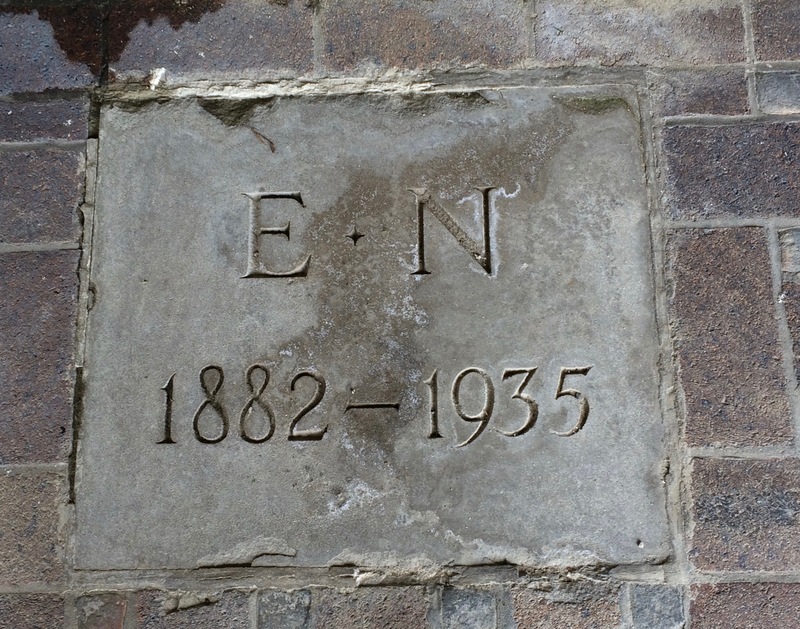 A marker in The Cloisters at Bryn Mawr in honor of Emmy Noether, where her remains were placed. A mathematician of her brilliance deserves a statue. Emmy Noether’s work places her among the mathematical giants of the ages. Beyond that, her life is a reminder that mathematics is for everyone. What courage she must have shown to pursue mathematics in a time so hostile to woman and Jews. 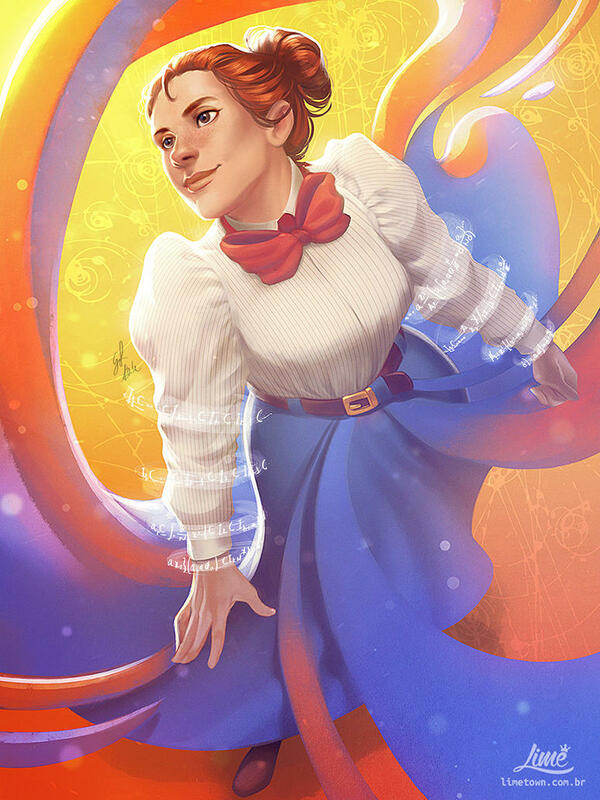 The Emmy Noether card in the STEM Epic Heroes game. Fast forward to 2018, and only eighteen percent of mathematics faculty in Canadian universities are women. Only one woman, Maryam Mirzakhani, has won the Fields Medal out of the sixty that have been awarded so far. Imagine what mathematics would be like if it were accessible to everyone. Math is for all.